✔ Transport Kegs with ease. Keg Buddy is the design solution to overcoming stress and back related injuries derived from moving heavy kegs in the cellar, around the brewery or at that onsite wedding. Purpose built for moving both styles of 50ltr beer kegs, this light and portable all terrain solution allows a single person to manoeuvre kegs with ease over all surfaces including steps and kerbs with slimline manoeuvrability in the cellar. 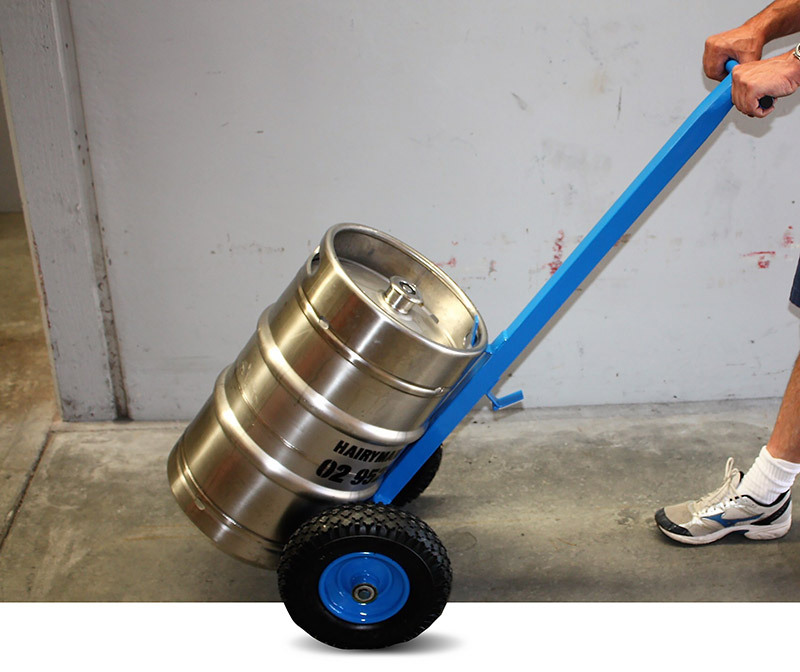 Keg Buddy is the most cost effective device for transporting beer kegs, simply hook it up and go. A high value low cost alternative, enabling staff to safely and efficiently move heavy kegs in the brewing and hospitality industries. Brewers, Hospitality Industries including pubs, clubs and restaurants. In fact it's suitable for anyone that needs to transport kegs safely and efficiently. • Durable packaging allows it to be sent anywhere in Australia and South Pacific and arrive undamaged. • Allows easy movement over lawns, rough surfaces, gravel as well as steps and kerbs. We want you to love our Keg Buddy and as much as we do. We offer a 1 year limited manufacturers warranty on all parts and labour. Just another reason why more brewers are using Keg Buddy. This has replaced 2 separate items and made life a lot easier. 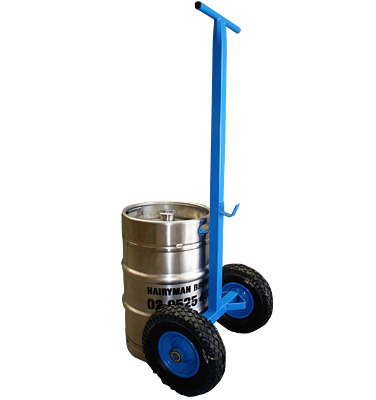 Simple, value for money keg buddy, keg trolley for moving heavy kegs, highly recommended. The boss just purchased a Keg Buddy keg trolley and it has made my job around the cellar so much easier. Simply hook up and move and stores on the side of a keg.